Forest Camping in East Sussex. Campfires, trees, pitches and glamping. Unwind, relax and escape to nothing much. At The Secret Campsite Beech Estate we aim to provide relaxed forest camping in a natural woodland setting. 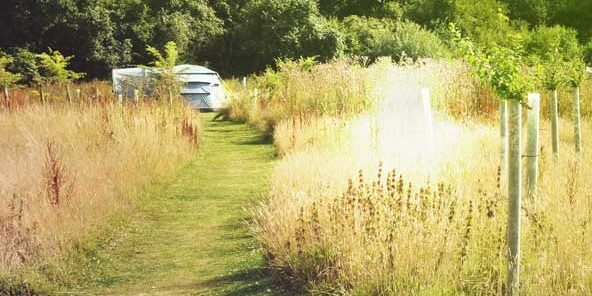 Our campsite is spread over 20 odd acres as part of a 600-acre private woodland in East Sussex. The campsite is part of a beautiful 2,100-acre private estate. We provide real camping in our unique ‘wild glamping’ tents and off-grid tent pitches in natural forest glades – all pitches have their own campfires. We encourage an experience of discovery. At Beech Estate’s forest campsite you can take time to get to know the environment of this beautiful part of East Sussex. You can learn to recognise the indigenous trees; oak, beech, hornbeam, birch, ash, holly and hazel. You can listen to and identify the many and varied songbirds. Spot the tracks and habitat of the local wildlife, and learn the names and properties of the woodland plants. We prefer to label our fully equipped bell tents as ‘wild glamping’. In comparison to other ‘luxury camping’ glampsites, we aim to offer a real, off-grid forest camping experience. We have no hair dryers, mobile phone chargers, butler service, silk sheets or hot tubs. Rather, we provide a real camping experience made easy. Supplying just about all the camping equipment you should need, all waiting for you, setup in a lovely campsite in the woods. The Secret Campsites are based on a philosophy of living lightly on the land, in harmony with nature. We believe the conservation of trees offers overwhelming benefits to our landscape and lives. 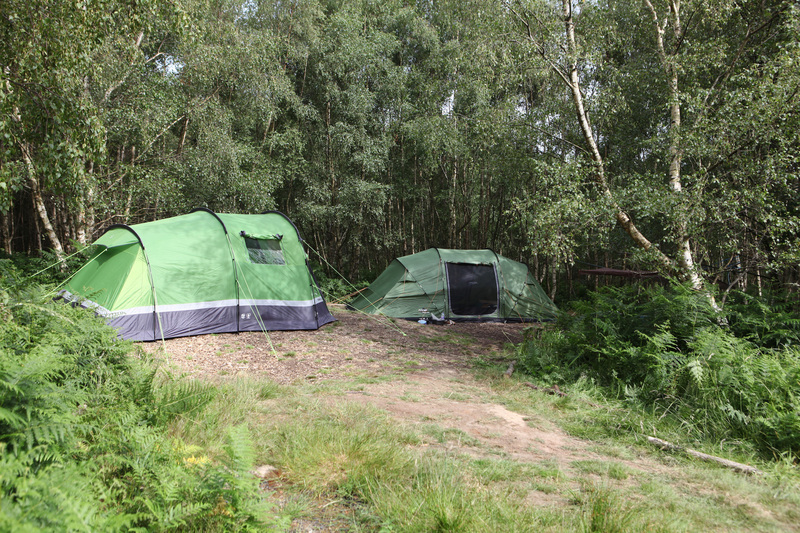 Our forest camping philosophy is also to protect and enhance the environment. Fallen branches and decaying trees help to maintain a healthy and vibrant ecosystem which enhance your interactions with nature. We ask all campers not to collect any firewood from our forest and only to use wood supplied by us, or that you have brought either from home or from another sustainable supplier. We are family friendly and encourage a chilled, relaxed campsite. We operate a low noise policy after 10pm at night to respect fellow campers. No electronic music is permitted (singing and acoustic music is fine until 10pm!). Sorry no dogs or other pets are allowed in the forest campsites to preserve the native flora and fauna. We ask where possible all rubbish is recycled in the bins provided. We have a general waste collection for our ‘wild glampers’, however for our pitch campers we ask that excess general waste is taken away from the site by the campers, leaving no trace. We ask you to help with this as we are off-grid. If you managed to fit the rubbish in you car when you came, you should be able to take it home!